Discussing the results from the limnological studies in water resources on a scientific platform and reporting them in scholarly publications are very important. For this purpose, International Limnology and Freshwater Fisheries Research (LimnoFish) was first published in 2015. National and international interest in LimnoFish has led us to include more further innovative approaches and studies. 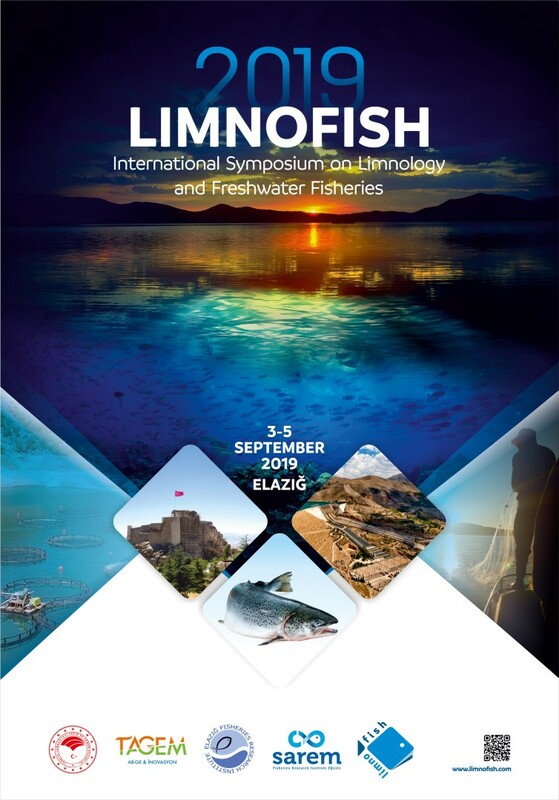 In this regard, the 2nd International Symposium on LimnoFish, which is planned to be organised every two year, will be held by Elazig Fisheries Research Institute and Egirdir Fisheries Research Institute between 3-5 September 2019 in Elazig/TURKEY. The symposium is expected to be a shareholder in the international arena on issues as fisheries management, inland waters, ecology, climate change, biology, aquaculture, social economy, fish diseases and processing technology. Elazig province is a city having a peninsula-like view with many small and large dam lakes including Keban Dam Lake, Karakaya Dam Lake, Hazar Lake (Sivrice/Elazig). We are waiting for your support by attending to this symposium and honored to welcome you our esteemed guests in Elazig which is the capital of the trout.